The Pirate, a.k.a. God Loves Caviar, is the epic true story of Ioannis Varvakis (1745–1825), a humble Greek pirate who, with the help of Catherine the Great, went on to become an international caviar millionaire but ended his days as an inmate on a remote prison island. This epic tale moves from the Greek islands, to the court of the Russian Queen, and then back to Greece torn apart by revolution and civil war. 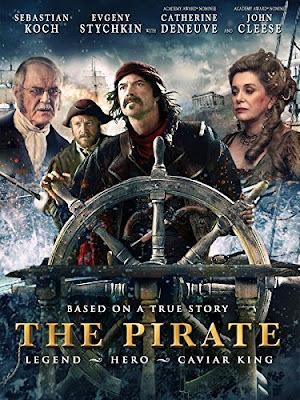 This is a story of one man’s journey from pirate to nobleman amid war and a fight for independence.